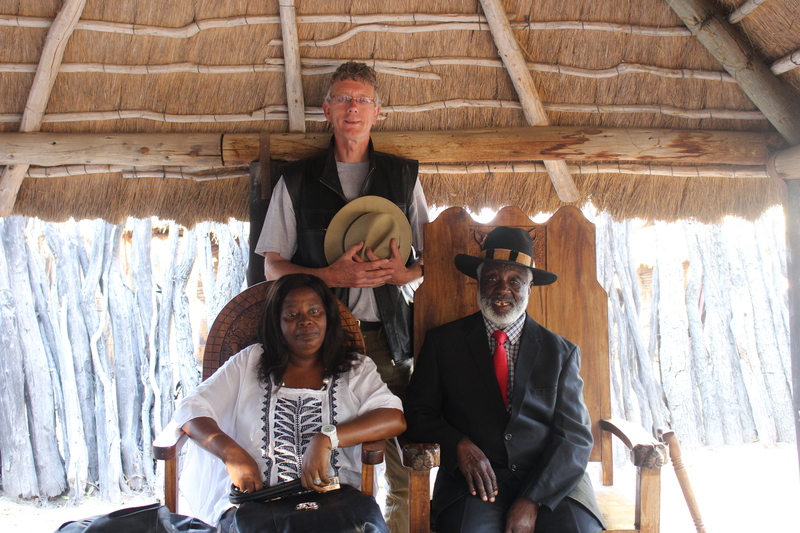 Emmanuel Kreike (top) visited King Shikongo Taapopi (right) and Queen Lisa Nandjala of Uukwaluudhi (left) at the royal palace at Tsandi, Namibia in 2015. Photo by Michelle Goldman. Emmanuel Kreike, Professor of History, presented, "Environcide: War, Society, and Environment," on March 6, 2018. Kreike was the second speaker in the Spring 2018 PEI Faculty Seminar Series. The impact of war on society and the environment is conceptualized as war against humans or war against nature—genocide or ecocide. But war does not segregate nature and culture. Instead, it triggers "environcide" by destroying a society's environmental infrastructure or displacing people from it, inviting disease, drought, famine, and social and environmental collapse.